Winchester Mystery House Fright Nights are Live! Winchester Mystery House Fright Nights Launches Today! Secrets of the New "Curse of Sarah Winchester Maze"
We asked Fright Nights' Production Designer Jeff Schiefelbein to share some insight, EXCLUSIVELY for our 13th Hour Newsletter subscribers, on Winchester Mystery House's newest event! How did you get started in the Haunted Attraction business? While I was growing up, my parents always hosted elaborate Halloween parties for their friends. As a child I was mesmerized by the decorations and costumes and when I was 15 years old I put together my first haunt in the yard of my parents' Orange County home. The rest is history. What was the planning process like for the "Curse of Sarah Winchester Maze?" When people hear that the Winchester Mystery House will be unveiling an all new Haunted Maze this year the typical response is, “Finally!” So in one sense it has been in the making for many years. In actuality, for this year's event we began planning with a site visit in March 2011. This has been a unique process because usually we get to work with an empty warehouse and have free creative rein on what goes in it. With Fright Nights we had to build it around existing buildings and a specific theme. You can't just throw vampires and zombies into the mix! We saw it as a challenge and opportunity and I am proud to say that we took full advantage of what the Winchester Estate had to offer. Plants come to life in the green house, the 15 foot rack of the fruit drying shed becomes a perfect butcher shop, and the tool shed, already full of scrap metal and tools from Mrs. Winchester's day, was easily transformed into a blood-curdling, twisted machine shop. Anything we should keep our eye out for in the maze? We incorporated the number 13 everywhere! Thirteen candles here, 13 pumpkins there, pumpkins carved in the number 13, 13 slash-marks on the wall, etc. Also, the seance room has some of the most advanced special effects used in any maze I've worked on. We took a topographical map of the room and have a 360 degree projector that makes the entire room come to life. We hired on a very talented sculptor, he's worked with Disneyland on the Indiana Jones Ride and Pirates of the Caribbean among other things, who has created a life-size replica of Mrs. Winchester's tombstone and a fully functional fountain as if those killed by the Winchester Rifle took over Mrs. Winchester's Egret Fountain themselves. For more information on Jeff and the others in the Fright Nights production team visit, http://winchestermysteryhouse.com/frightnightscredit.cfm. Fright Nights take place on consecutive weekends and selected weekday nights beginning Friday, September 30 through Halloween, Monday, October 31, 2011. Additional event dates are: September 30; October 1, 7, 8, 9, 14, 15, 16, 21, 22, 23, 27, 28, 29, 30, 31. Fright Nights begin at 6:30p.m. ; closing hours vary throughout the event. Ticket sales began June 1, 2011 at WinchesterMysteryHouse.com/tickets with a new "Slasher Savings" option providing discounts of up to $20 for selected dates. To buy tickets to our Fright Nights event visithttp://winchestermysteryhouse.com/frightnights.cfm. Who's Responsible for Raiding the Victorian Gardens? This poor soul was simply trying to park his car for Fright Nights in the VIP parking lot when he fell victim to the spirits of those killed by the Winchester Rifle. It looks pretty real doesn't it? The Winchester Mystery House has partnered with the best in the business to bring you the ultimate spine-tingling experience this Halloween. Imagination Design Works Productions is an independent entertainment Production Company formed for the purpose of creating feature length motion pictures, television programming and live entertainment productions. The company is owned and run by Brett Tomberlin and is the creative entity behind this year’s Fright Nights. The name Sinister Pointe may not seem too familiar to you, but if you are a haunt enthusiast in the Southern Californian area you have probably been to at least one of their haunts. They have been devloping haunted attractions throughout Southern California for over 14 years including Queen Mary's Dark Harbor, Irvine's Realm of Darkness, and the themed "Saw" and "Silent Hill" mazes (Universal Studios Florida transported the "Saw" maze to their park!). Jeff Schiefelbein, quoted above, is the creator and mastermind behind this gruesome company. While the above two companies hail from Southern California, the "Curse of Sarah Winchester Maze" couldn't have been completed without the help of some local Bay Area companies! For instance, our "VIP Parking Lot" was a true collaboration provided by J.A.Y.S Towing and Transportation, Delta Chargers (they provided a full-size yellow school bus), and Pick n Pull, "We sell parts, we sell cars, we buy cars!" What are you waiting for, grab your tickets now to experience the all new "Curse of Sarah Winchester Maze" yourself! To buy tickets online go to http://winchestermysteryhouse.com/shop/department/tickets. Supernatural Fans Get the Chance to Win a Trip to Winchester Mystery House's Fright Nights! Could it be? Are the Winchester Brothers on their way to the famed Winchester Mystery House? No, not really... but their fans are! If you are in the following ten areas across the country - Boston, Washington DC, Cleveland, Indianapolis, Hartford, Milwaukee, Oklahoma City, Albuquerque, Austin, and Jacksonville - then be sure to tune into your local CW affiliate station for instructions on how you can win a trip for two to San Jose, California, to experience Fright Nights at the Winchester Mystery House! Interviewer: Why did you pick the name Winchester? Does it have any supernatural significance in relation to the Winchester House? Eric Kripke: "The Winchester House is, indeed, one of the reasons I chose the name... I was a few days away from production and had to come up with a new name in a hurry. 'Winchester' just popped in my head, in part because of the Western connotations (and I wanted 'Supernatural' to have the vibe of a modern-day Western), and in part because of the Winchester Mystery House." Next year the VTA is going out to bid on some substantial public transit projects. One will be at $128M project that will run 7 miles through the heart of Downtown San Jose from Santa Clara Street all the way down to Alum Rock Avenue. This route will have bus stations at one mile intervals that look more like Light Rail stations with ticket machines, nice landscaping, and additional security features. There will also be dedicated bus lanes along 2 miles of Alum Rock. Completion is set for Summer 2014. VTA is also planning to do $200M worth of work along 17 miles of El Camino from San Jose to Palo Alto and a $160M project on Steven's Creek between San Jose and Cupertino. Both are expecting to have greatly improved stations and dedicated bus lanes when possible. The VTA is shooting to have all of these projects completed by 2018 when BART begins service to San Jose. 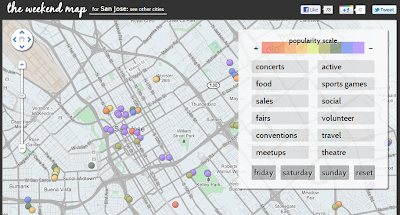 Several changes have been made to the Downtown San Jose Restaurants database over the past 2 months. We are now up to a staggering 206 restaurants, which I believe is the largest number of eateries in the history of Downtown! 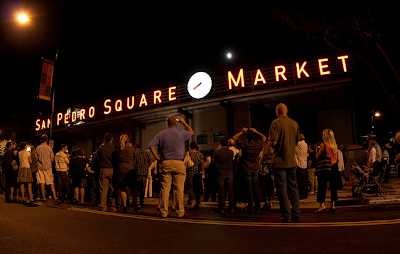 New additions are Crema, La Lune Sucree, Yogurtland, Zanatto's Deli, Bijan Cafe (which is actually a wine bar) and of course our first two San Pedro Square Market Restaurants: Pizza Boca Lupo and Vino Vino. We also have at least 7 restaurants that are currently under construction! As as side note, I'm getting much closer to completing my mission of going to every restaurant in Downtown San Jose. Of the 206 restaurants currently open, I have eaten at 186 of them (90%). 7/22/2011	Added Yogurtland on 125 E. San Carlos St.
9/3/2011	Added hours to Yogurtland. Open until midnight on Friday and Saturday! 9/25/2011	Replaced Cafe Stretto with Bijan Cafe (not to be confused with Bijan Bakery & Cafe). Same owner as Bijan Bakery but with a different menu and Bijan Cafe has exotic beers and wine. Months after having to shutter it’s downtown San Jose grocery store due to the economy and stiff competition from The Market, local grocer Zanotto’s has once again risen from the ashes like a phoenix to re-open Zanotto’s Express on First Street. The new Zanotto’s does what they’ve always done best – offer a quick, healthy, and delicious lunch or dinner for local workers and residents. There is a huge refrigerator with pre-made sandwiches (I had a great prosciutto panini the other day – delicious!) and 15+ pre-made salads. All their pre-made offerings are made fresh daily at their Rose Garden location. They also offer several Grab-and-Go pre-made meal selections such as pastas, twice-baked potatoes, burritos – perfect for the SJSU student or high-rise resident who is looking for a quick, homemade meal. Two fresh soups are available daily. The focal point of the new space is the deli counter where you can build your own sandwich. There are plenty of meat, cheese, and condiment options to please even the most discerning palate. Round out your meal with plenty of unique beverages (including a nice selection of local wines) and delicious sweet treats. You’ll also find several specialty Italian foods such as olive oil, gourmet cheeses and pasta. There is plenty of seating both indoors and out. So next time you’re craving a tasty sandwich, stop by Zanotto’s – you’ll be glad you did. Ritmos de Flamenco @ SCU! 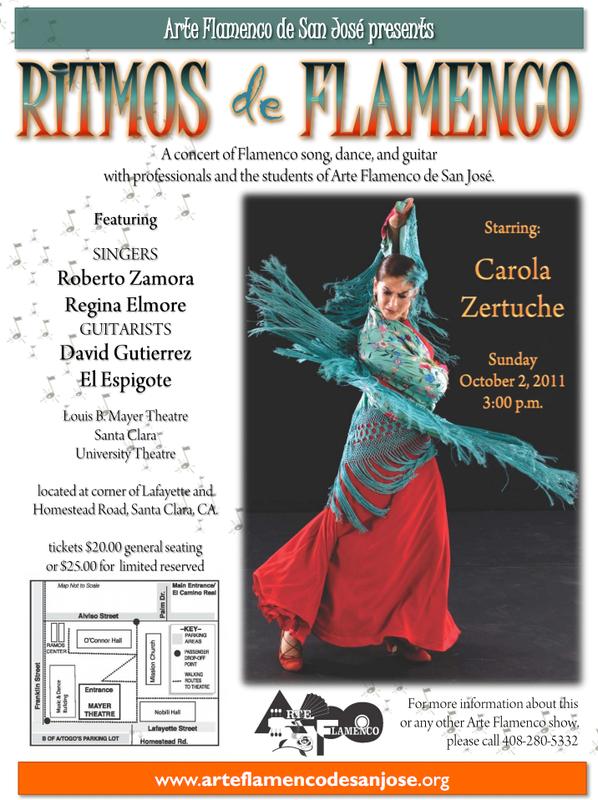 Flamenco is a combination of song, dance, and guitar with gypsy roots. It's pretty awesome that we have a group that specializes in this exotic dance right in our backyard. 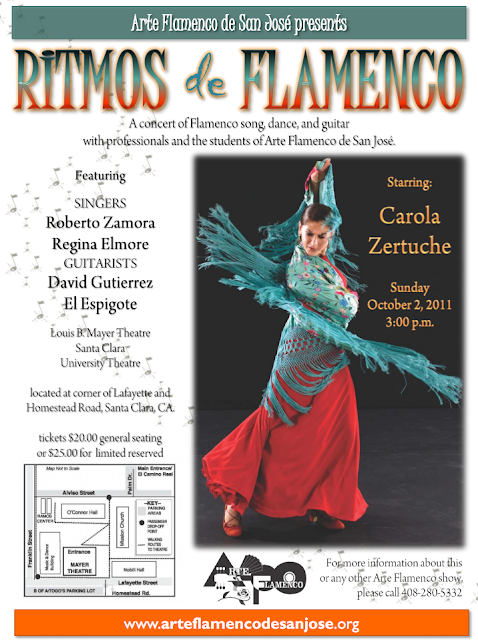 Arte Flamenco de San Jose is a non-profit organization that has been promoting and teaching flamenco since 1992. Their big annual show is coming up this weekend at Mayer Theatre at Santa Clara University and you won't want to miss it! Professional dancers, singers, and guitarists will be on hand to provide unique entertainment you won't easily find anywhere else in the South Bay. This performance is one day only, so if you're interested now is the time to act. Also, if you become inspired to try out flamenco for yourself they offer classes right over here. It looks like the HP Pavilion is finally shedding some of its generic food booths and replacing them with vendors based in Silicon Valley. The four confirmed vendors moving in are Sonoma Chicken Coup (San Jose), Armadillo Willy's (Los Altos), Frost Cupcake Factory (Campbell), and Amici's Pizza (San Mateo). Three of those might be in business by October 8th, just in time for the Sharks season opener. Courtesy of Tom from WMS Media! Looks like a new 1, 2, and 3 bedroom condo building is coming to San Jose at the intersection of Tasman and Zanker (near @First). If you take a good look at the sign it references the www.latitude88.com, but it looks like there is nothing there at the moment. Also googling Latitude 88 didn't yield much either. If anyone has info, please let us know in the comments. Thanks to Luke for the tip and the photo. Usually I try to have one scheduled post every single day, but due the the sheer amount of things going on right now I'm going to have at least 2 scheduled each day over the next week. Just a quick heads up! Orchard Supply is one of the oldest San Jose companies still around. It was here long before there was even a semblance of Silicon Valley. It looks like they are going back to their roots and are being spun off from their parent, Sears. They are also launching a new concept store right here in South San Jose, at the corner of Meridian and Blossom Hill in Princeton Plaza (formerly a Mervyn's). The 60,000 sqft space will have a new layout, canopy facade, and even clothing. You have to check out this vintage single chair barber shop in the San Pedro Square Market! You can't miss it right by the entrance on San Pedro Street. Today is a great day at the San Pedro Square Market. Our newest vendor, Dan Dixon of Crewners Barbershop, has opened for business. Crewners is an upscale barbershop, providing fashionable and stylish haircuts and the highest quality full barbershop services. Vintage decor blended with modern equipment creates an atmosphere that is warm, welcoming and invites customers to relax, refresh and reminisce. Dan found his barber chair in Las Vegas, Nevada and took it to be refurbished by the boys at American Restoration. Dan is just another example of the entrepreneurial spirit that in Silicon Valley. Dan is an asset to the project and an amazing person. We are so happy to welcome Crewners Barber shop to the San Pedro Square Market family. Come out to 300 S. 2nd Street between 10am-6pm to check out the new TechShop Downtown! I have no "handiwork" skills whatsoever but was still fascinated by the tour I got a couple of weeks ago. They have a lot of really cool machines in there like laser cutters, pipe benders, and whatever else you might need to build a physical product. This place should fit in nicely into SoFA and provide an invaluable resource for the Arts organizations there! Get ready to party in DIY style! TechShop, the first member-based do-it-yourself workshop and fabrication studio, invites you to the grand opening celebration of our new location in San Jose. Come take a tour of our cutting edge facility: Learn how a laser cutter works and watch another machine cut through inches of steel with a stream of water. Take a look at what our members have been up to—from creating popular marketable products, to arts and crafts, to the development of a real working JetPack. Special offers on memberships and classes will be available for a limited time. Moveable Feast San Jose will be rolling through with a variety of their famous gourmet food trucks, so bring your appetite! The opening ribbon—made of cold-rolled steel—will be plasma cut at noon by Carl Bass, President & CEO of Autodesk followed by a keynote address. At 3 PM we present a live performance of explosive proportions by YouTube sensation EepyBird, creators of The Extreme Diet Coke & Mentos Experiments. The celebration is free and fun for the whole family. Come and see what TechShop has to offer you, and prepare to be inspired! All Day - Free Tours, Equipment Demonstrations, Membership Specials. 10 AM - Celebration begins! 11 AM - Food Trucks arrive from San Jose's Moveable Feast! 12 PM - Ribbon cutting ceremony with Carl Bass, President & CEO, Autodesk Inc.
Carl Bass is president and chief executive officer of Autodesk, Inc. Autodesk is the leader in 3D design, engineering and entertainment software. Formerly he was Autodesk’s chief operating officer, responsible for worldwide sales, marketing, and product development. Earlier roles included CTO and EVP of product development. Bass co-founded Ithaca Software, the developers of HOOPS, which was acquired by Autodesk in 1993. Bass serves on the Board of Directors of Autodesk, E2open, the Art Center College of Design, and the Rocky Mountain Institute. He is also a member of the Executive Advisory Boards of Cornell Computing and Information Science and UC Berkeley School of Information. He holds a bachelor's degree in mathematics from Cornell University. 1:30 PM - DIY Party in Full Swing! 3 PM - LIVE performance by EepyBird: The Extreme Diet Coke & Mentos Experiments! 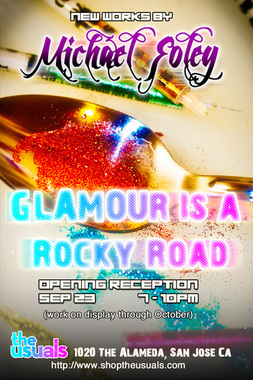 "Glamour is a Rocky Road" a collection of new works by San Francisco Bay Area artist Michael Foley. Featuring new Acrylic, oil, Sumi ink paintings and illustrations depicting the trials and tribulations of trying to make it in this world and the consequences of the journey. A celebration of failures and success with a hint of biting sarcasm. the refuse of desperation to maintain image beauty and fame. Lost San Jose Launches a New Photo Blog! Lost San Jose is one of, if not my favorite photography site focused on San Jose. What I didn't know until this weekend was that in addition to doing guerrilla photography, Josh Marcotte is also a writer and poet. He's put together a pretty compelling blog for San Joseans and it is being updated regularly. Check it out right over here! To put it bluntly, Content Magazine is the highest quality publication I have ever seen regarding San Jose culture. I think it perfectly encapsulates what San Jose is all about, and where we're going as a community. The last issue featured articles on The San Pedro Square Market, Dishcrawl, Higher Fire, the San Jose Fire Museum, and Sally Ashton (Santa Clara County Poet Laureate). If those sound familiar, it's because those are exactly the types of topics that are promoted on this blog. The difference is that Content Magazine has in depth writing and stunning photos on every page. Come to think of it, it's one of the nicest looking magazines I've seen period. Content just put up a Kickstarter page to help launch the print version of their next magazine. Please have a look below and enjoy a 90 second video that sums up the project and then read all about what they are planning to use the money for. If you are ready to make a small contribution and get some free swag in the process, just head right over here! 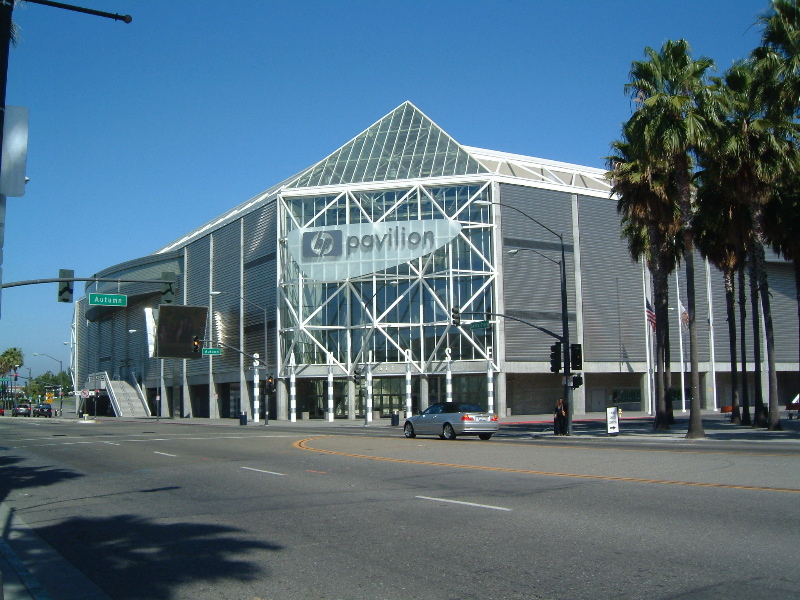 San Jose has long been the hub of tech innovation. This same type of creativity has also fueled a different side of San Jose--the side that has moveable feasts, fashion shows, artists, tea bars, photographers, and speakeasies, to name a few. As residents of San Jose, we started Content Magazine, a life & style magazine unlike any of its predecessors, to tell the stories of these inspiring individuals and businesses in San Jose. It's honest, visually appealing and highlights this creative side of San Jose. It’s been great publishing online and using Print-on-Demand, but in a world of electronic-this and electronic-that, a physical magazine continues to elicit feelings that an e-reader simply can’t. Digital is great…but every time we show our pretty iPad friendly version to people, the response is always the same: "How can I get that in print?" So, we're ready to take the next step: to print a magazine that doesn't compromise on the aesthetics. We're grass roots. We’ve defined our vision. We're building our brand. But, we aren’t too proud to admit that the time has come to ask for a little help. You love San Jose, and you want your city to have a magazine with a quality and style that actually represents the people of San Jose. You think "hyper-local" is a great thing. We like to say we are "for the people of San Jose and by the people of San Jose," so clearly, we do too. You love supporting emerging artists and celebrating local cultural creatives. You believe that behind every shop owner, designer, artist and engineer is a story that is waiting to be told. You like the idea of a localized magazine inspiring you to explore all that San Jose has to offer. You believe that a quality publication has the opportunity to positively influence the way people think of San Jose. Print the launch issue of Content Magazine with the quality and aesthetic we've always imagined. Reduce the purchase price for our readers. Provide printed copies of Content Magazine to local businesses, potential sponsors and city influencers, demonstrating the potential of a quality magazine in San Jose. And, since you asked, while I'm sure our dedicated contributors have loved eating homemade pastries in exchange for their hard work, we'd love to pay our artists for their time and talent. We hope you can see the passion we have for the city of San Jose and the people that inspire us. Thanks for supporting the vision of our magazine through your contribution. This is pretty substantial news. Five Bay Area arts organizations were selected for national grants. 1st ACT Silicon Valley and ZER01 each collected $500k, meaning that San Jose raked in more arts-related funds than either SF or Berkeley from this program. I'm particularly excited about what 1stACT is planning to do with their grant. Read below! The development of Gore Park into an urban plaza and outdoor living room in the SoFA (South First Area) district of downtown San Jose will connect four significant local arts institutions and advance the evolution of Silicon Valley's urban center. The Park is the capstone of a project that includes the ArtPlace-supported ZER01, transforming the SoFA district and leveraging more than $60 million in City of San Jose redevelopment funds. During my vacation to Europe over the summer, my wife and I would always start out each new city with a double-decker bus tour. This was a great way to familiarize ourselves with the city, learn a little history, and plan out which touristy attractions we wanted to do during our stay. I couldn't help but think to myself that San Jose should have some sort of bus tour highlighting our museums and attractions. Fortunately, I wasn't the only one who had this idea. As part of the tour, they'll stop for photo opps and visit at least two museums. Needless to say, this is a HUGE step towards promoting tourism in San Jose and Silicon Valley. To help support them, here is a link to their tours. First off, thanks to everyone who attended our Sign Lighting Party and SJMADE/SJEATS. Both events were a tremendous success. Our next event will be held on Thursday September 22 from 5:30pm-8:00pm. We will be hosting a live filming of popular local TV magazine Eye on the Bay, from 7:00 to 7:30 pm. The show will be hosted by Marcus D of Alice 97.3, alongside Brian Hackney and Thuy Vu. You are invited to join us in the Peralta Plaza during the taping. We'll have drink specials at the San Pedro Square Market Bar and the Mochi Quartet will be playing live jazz on our outdoor stage so you can enjoy beautiful end-of-summer weather and great music. Market tenants who are currently open for business include the San Pedro Square Market Bar, Pizza Bocca Lupo, Vino Vino Wine Bar, and Crewners Barbershop. Visit our event page to RSVP for the event! Finally, don't forget to mark your calendars for our Grand Opening celebration, Saturday October 22nd, when we will be unveiling our year-round Farmer's Market run by Urban Village Farmers' Market Association. Sincere thanks----we hope to see you Thursday! For more information on upcoming events or how to plan your own event at the Market visit our event calendar and our event planning pages. Sandi Billingsley believes all of us can express ourselves with paint. Sometimes we just need a simple place to start. 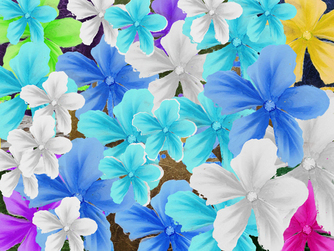 Join her and paint some simple and basic one stroke flowers. 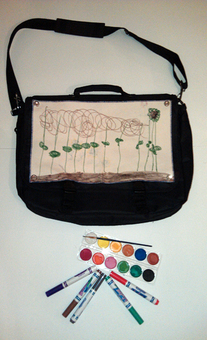 Paint, brushes and paper will be provided. John Hageman will be hand cutting/finishing shapes out of wood using various tools. Then demonstrating how to assemble them into 3-dimensional wall mounted art. Canvas Ghosts' Art Party "Beyond the Comic Strip" is coming up soon. 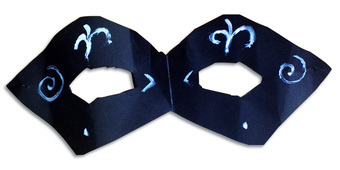 Stop by our table and make a mask to go with the costume you are wearing to the party! 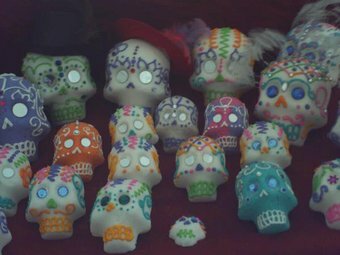 Jodi Mascarenas will create hair feathers and do another fantasitc sugar skull demo for $2 each! Scary Craft invites you to "Come Mess with Text!" Pals Courtney and Jo Anne will help you make literature art this month by cutting and drawing on books. What a novel way to transform books that would have otherwise gone into the dumpster or lined a birdcage. As always, it’s all about making art on the cheap! Crappy paperbacks will be provided. 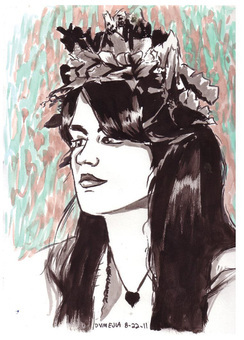 David Mejia our resident sketch artist will draw your portrait while you wait for only $5! 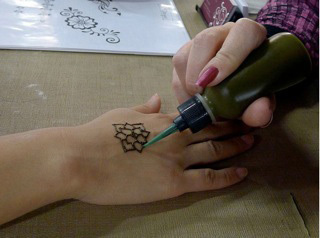 Lisa Mejia will adorn you with lovely henna tattoos for a small fee. Improvisational Belly Dance by Nour El Ain & Setareh, a group of dancers from diverse backgrounds, different dance skills and performance techniques. 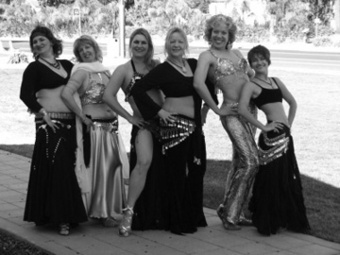 From budding stars to seasoned performers, this lively group will be sure to get you moving! Would YOU like to get involved with Two Buck Tuesdays? Let us know! 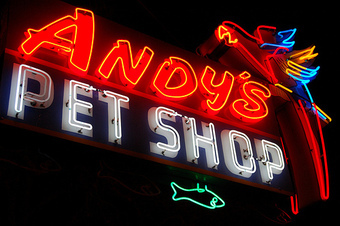 Andy's Pet Shop and Adoption Center needs our help or they will not be able to keep their doors open to the community nor to the local animal rescue centers they partner with. To help raise awareness of their situation, a benefit show will be held at O'Flaherty's Irish Pub. You're invited to O'Flaherty's Irish Pub on Thursday 9/22 at 9:00 p.m. for a special evening of music, comedy and art to benefit Andy's Pet Shop and Adoption Center. 100% Rescued Animals since 2007 and featured on A&E program "Hoarders". There's a great line up of very talented artists including NY jam fusion electric guitarist John Ford Winter from the Woodstock Guitar Festival making his West Coast debut in downtown San Jose. Also performing are comedians Dan St. Paul and Mike Meehan. Portraits of animals and a custom painting of the famous building sign will be created by artist Crystal Wade. A percentage of the bar sales will be generously donated by O'Flaherty's Irish Pub. Show your support for the animals, the arts, and for downtown businesses! San Jose, Calif., -- Over the last 20 years, Phil Hood and Andy Doerschuk, the founders of Enter Music Publishing have published one of the most well-respected innovative music magazines in the industry, DRUM!. Now, the duo, demonstrating their creativity once again, has launched The Enter Music Network (EMN)www.entermusicnetwork.com, an industry specific ad network comprised of the top sites for drummers and percussionists. The EMN is a group of nine web sites that together offer advertisers the ability to reach the widest market of musicians. It's an ideal venue for advertising drum equipment, recording gear and other music products, as well as musician lifestyle products including shoes, beverages, movies, cars and clothing. The network, additionally allows advertisers to market to more than 100 countries across the world. Overall the EMN reaches more than half a million drummers and more than six million ad impressions monthly. The key to The EMN is the group of percussive partner sites. The network includes the top drumming sites in the world, such as drumchannel, drummercafe, drummerconnection, drummerworld, onlinedrummer, musicplayers, sickdrummermagazine, drumlink, and of course drummagazine. The key benefit of the network is its ability to target the drum and percussion industry. Other larger networks exist, such as Doubleclick, but they aren’t niche specific like the EMN. And larger networks offer access to an audience but nothing in terms of services. "I find there is a real need for targeted networks, and services that go beyond what the big guys offer" says co-founder Phil Hood. "Advertisers need input on campaigns, creative, and how to integrate what they do online with their print and other marketing,"
Another key benefit is convenience. Rather than dealing with a variety of sites, an advertiser deals with just one integrated network. And the EMN can also offer benefits such as the creation of ads and marketing counsel. 'Managing a large web campaign is difficult," says Hood, "and we take some of the complexity out of it. We can help if you want to reach a lot of musicians quickly, or if you want a longer-term campaign." Nate Brown, president of onlinedrummer and a partner site in the EMN believes that the network’s wide reach through all of the participating sites will make it quickly successful. “It’s quite simple. The EMN is the most powerful network of its kind on the planet,” he said. That’s why we joined since this type of network is the future of advertising. In addition to web banner campaigns the Enter Music Network also offers email marketing opportunities and video ad insertion on some sites. Interested parties can call Phil Hood(408-971-9794 ext 203) for details. Or they can visit,www.entermusicnetwork.com. Founded in San Jose, CA in 1992, Enter Music Publishing, Inc. is a leading publisher of hip, drum/percussion magazines, with distribution in 20 countries. DRUM! is the flagship publication of Enter Music Publishing, Inc. and continues to set the industry standard for editorial quality and innovation. Enter Music Publishing, Inc. also publishes great content on its website,drummagazine.com. Over the company’s history, Enter Music Publishing has pressed other well-respected publications, such as How To Play Drums, and TRAPS magazine. The company’s mission is to be the best source of drumming news and info on this planet and others as they become populated. The company’s founders, Phil Hood and Andy Doerschuk, are well-respected drum industry veterans with more than 50 years of experience in the field. Here's a pretty cool site that I just found out about called "the weekend map." It let's you see things that are going on in San Jose over the weekend spanning concerts, sports, volunteer events, conventions, etc. 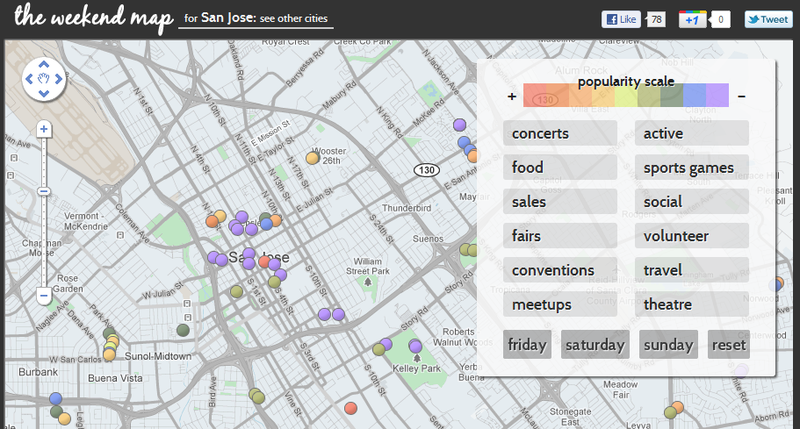 The interface is really slick and lets you quickly filter to only see what's relevant to you. If you're reading this right now, you need to step away from the computer, grab the family, and get to this event below. Come see Downtown San Jose's future! San Jose Made (SJMADE) found its roots in San Jose, CA, where brother and sister, Mike and Marie Millares of The Usuals, ran small trunk shows featuring products from local brands. The small trunk shows have, since, grown into larger-scale vendor shows for locals who are building independent brands, creating collections, or designing goods in the San Francisco South Bay Area. SJMADE events house vendor and artist booths alongside live music performances by local acts. In response to the growing demand for local goods, SJMADE partnered with SJEATS hoping to continue this unique homegrown shopping and food experience in San Jose, CA. 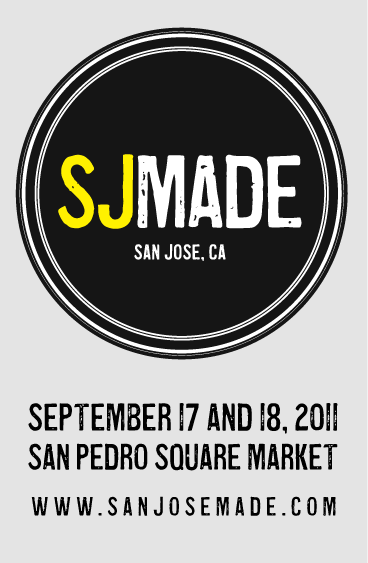 Some of the Bay Area’s best food trucks are coming to San Pedro Square Market for SJMADE with SJEATS, a vendor and food truck festival based in San Jose, CA. Cuisines spanning the globe will be represented, from Filipino street food to chrome karaoke ice cream trucks. SJEATS was founded by husband and wife team, Ryan and Christine Sebastian. The couple operates Moveable Feast, a traveling food truck and live music event. Thousands of people have attended Moveable Feast events to sample local fare from gourmet food trucks with a helping of live music. 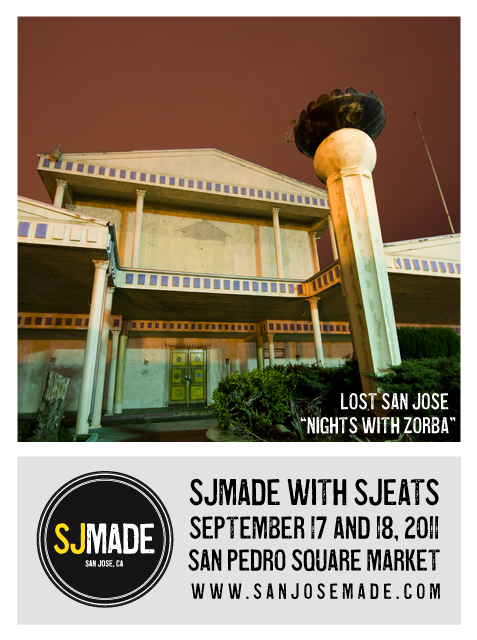 SJMADE with SJEATS is scheduled to run 11:00a to 7:00p on Saturday and Sunday, September 17th and 18th at San Pedro Square Market in downtown San Jose. Admission is free. 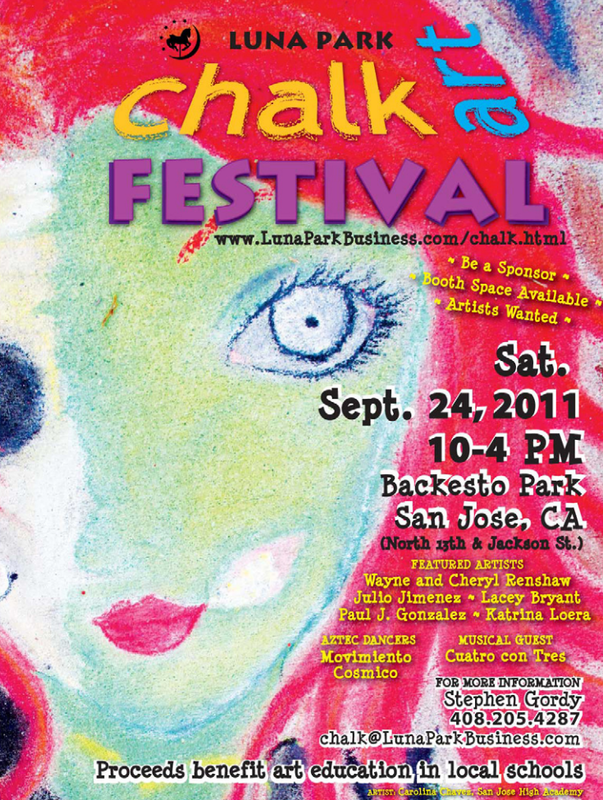 The growing schedule of vendors and food trucks is available online at: http://www.sanjosemade.com.